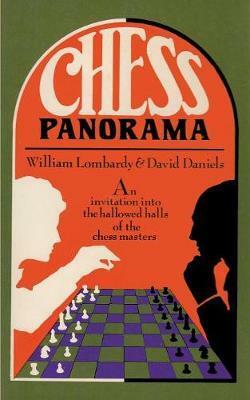 This is a book of chess games and stories about the greatest players of the game. This is what top-level competitive chess is really like. A Yugoslav grandmaster, befuddled at a simultaneous blindfold exhibition , flees from a crowd of peasants through a bathroom window …. A convicted murderer escapes from the police while being taken to a chess tournament … The wife of Grandmaster Reshevsky causes pandemonium when she insists on injecting herself into a game with Grandmaster Byrne … Here are the colorful personalities, the scandals and the great blunders of the champions that make up the chess panorama. Light in tone sometimes humorous and always entertaining these stories illustrated with game diagrams offer a marvelous introduction to the world of chess. Delightful , kibbitzing and chock full of marvelous encounters, this book by insiders will entertain and instruct simple wood pushers and masters alike.